Inteliace Research specializes in tailored consulting and research of banking, financial and retail markets in Europe, Poland and other Eastern European countries. Inteliace Research is an independent and privately owned company based in Warsaw, Poland - the heart of Eastern Europe. Inteliace Research serves leading European financial institutions and companies from other sectors. Inteliace Research specializes in tailored consulting and competitive research. By providing top management consulting and customized research Inteliace Research helps Clients to better understand their customers, their competitors and overall market dynamics. The lead researcher and founder of Inteliace Research is Marcin Mazurek. Before setting up Inteliace Research Marcin Mazurek has worked for 6 years as a senior research analyst at McKinsey & Company. Marcin was responsible for knowledge management and team/client consulting and research activities, covering following industries: financial services (banking, asset management, insurance), retail trade, FMCG, and other. 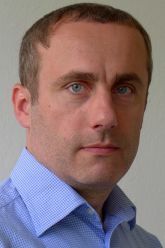 Prior to McKinsey, in 1998-1999 Marcin Mazurek has worked in the strategy office of the German HypoVereinsbank and assisted in due-diligence and acquisition process of BPH bank in Poland.